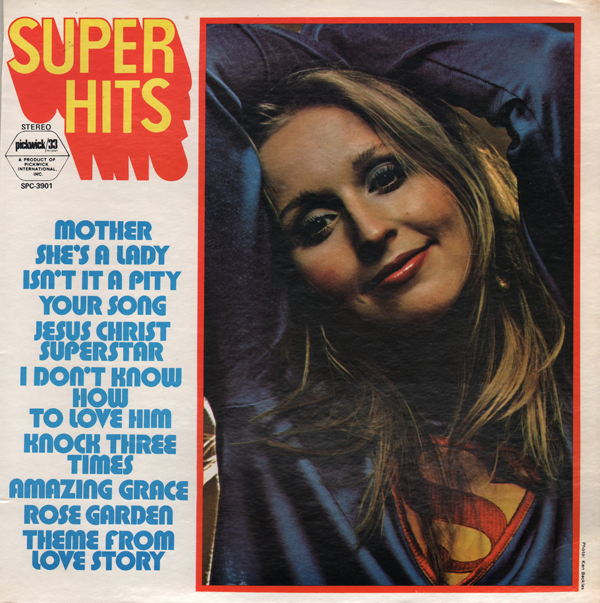 Pickwick released a number of LPs in the "Super Hits" covers album series. From the back cover: The hits and the Heavies of today. Flick the dial, let the sound lay on You. Jazzrock blasting big and wild. Funky. The heavy sounds coming in Music of the Woodstock Nation. The black beautiful sounds from the ghettoes of America's shame. 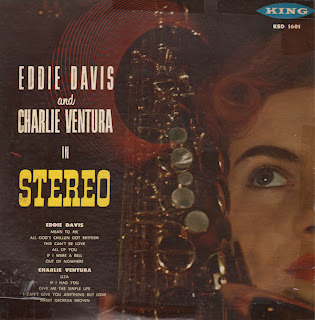 Head music in from the coast via Mill Valley and The Strip. Getting the groovy feeling all over. Good vibrations coming down. 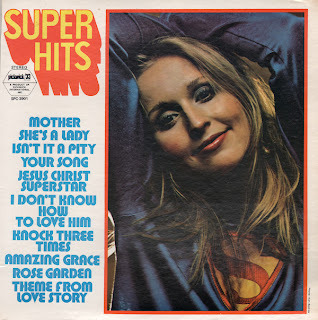 Superhits are like sounds you dig. Right on! For a little bread. What was the group called that made it happen. Our group is called King's Road. It's a place in Chelsea. Swingin' London. B. A. 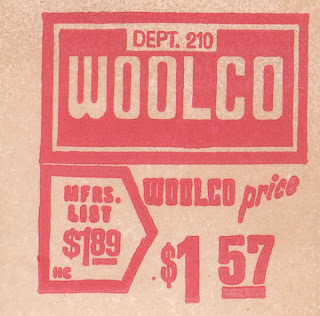 (Before Altamont). Be free. Dig the way these cats make it happen again. Instant replay. Sounds like the original. Maybe better? Open your head to their thing with someone else's music. It's a commune for hit freaks. People who dig talent, message, love! King's Road are street people. King's Road are the sounds that talk to us. They're saying something. That something is superhits. Superhits all together. Get It Together! 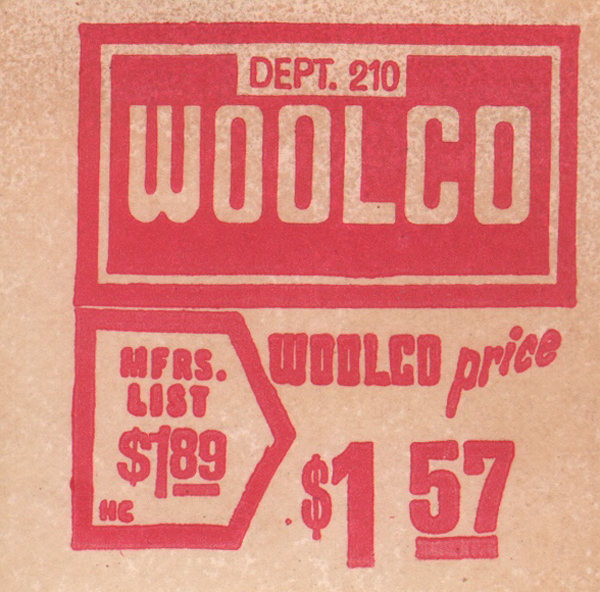 Below the cover image is the original Woolco price sticker. 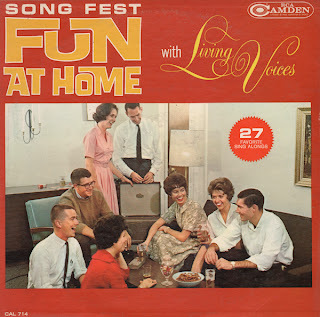 The only thing crazy about this house party is that several people, featured in the great album cover photo, sat their glasses on the coffee table... sans coasters. "Sing-along" album featuring male only vocal chorus. 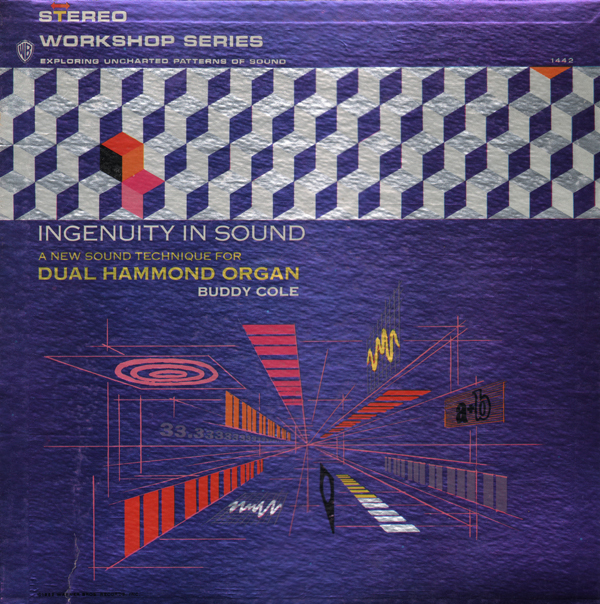 This album is one of a series of "stereo workshop" LPs WB released featuring abstract cover graphics printed on foil. The design suggests, to me, that there might be some abstract, conceptual or experimental music on the disc. But that has not been the case so far (I've found three or four samples in the series). 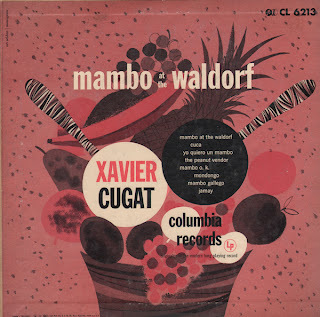 That let down aside, this Buddy Cole album is a very good early 60s light space age pressing that seems to be made more to compete with the sound that was coming out of Command records at the time. 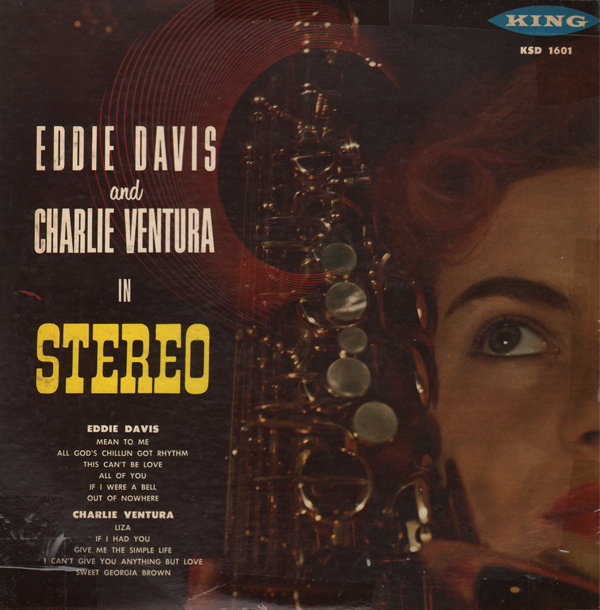 The engineering is excellent, the stereo separation is well done, the sound is rich and you'll find a number of your favorite lounge titles on the track list. Here's a groovy Hirt album. Also check out Al Hirt Meets The Green Hornet. 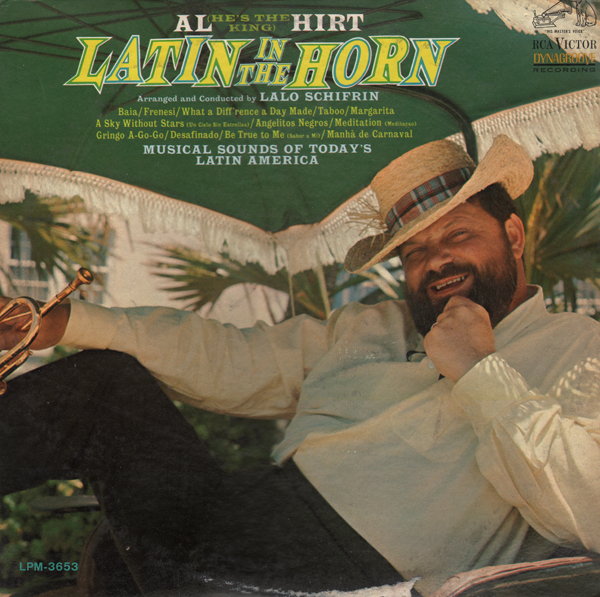 What makes this album a space age rocket are the very cool arrangements by Lalo Schifirn which help to blend Hirt's very up front horn into the groove, or at the least... build a foundation from which Hirt can shine, but not bury the 60's vibe. Attractive cover art graces this Columbia 10 inch jacket. The music is, as always, "Cugat" fresh and peppy. 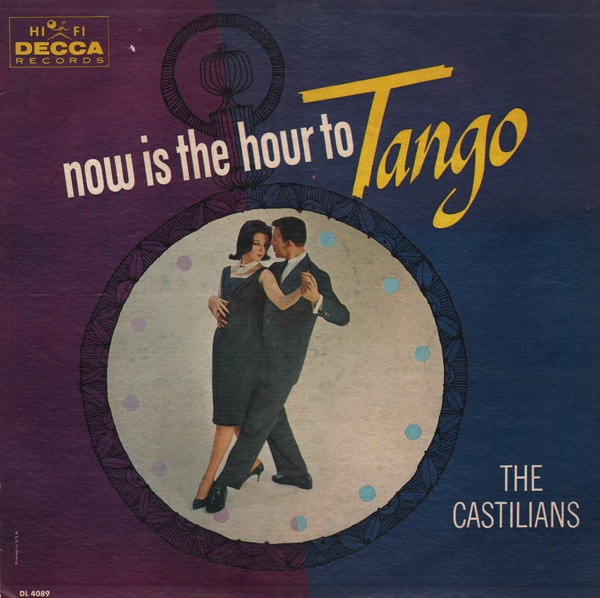 Pleasant light space age tango album featuring the accordion. From the back cover: George Rhodes is a favorite of the people "in the know". A product of Chicago, George first gained attention playing with such old-time favorites as Jay C. Higinbothem, Ben Webster, Red Alan and Al Hall. Since then, George has gone a long way, having worked with Joyce Bryant, Jonah Jones and most recently with Sammy Davis Jr. 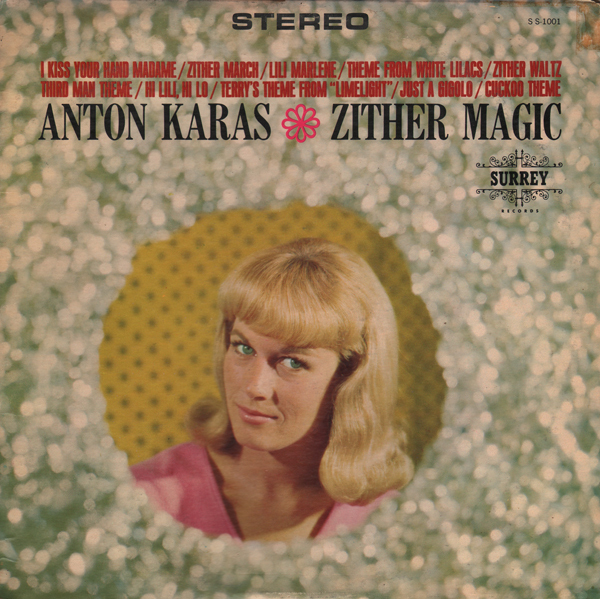 Very soothing, almost "celestial" sounding budget "zither"on Surrey. 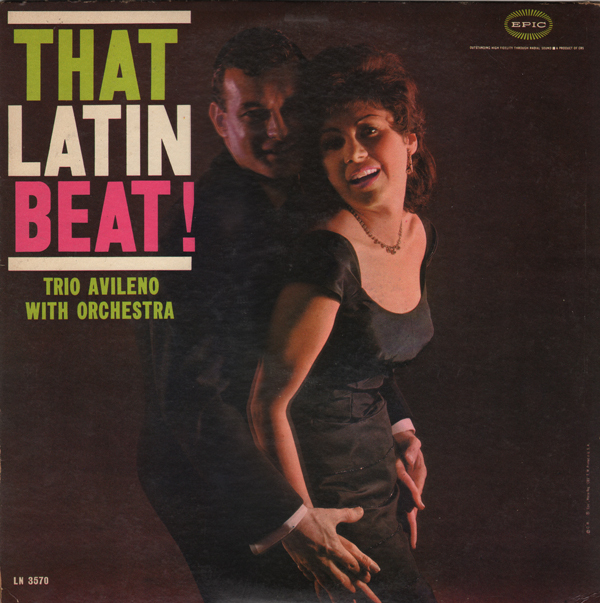 From the back cover: The Trio Avileno was formed in 1951, and consits of Fernado Estenoz and the brothers Miguel and Antonio Medina. Sr. Estenoz was born in Cuba, the brothers in Vera Cruz. Fernando sings first voice, Miguel second, and Antonio the third. 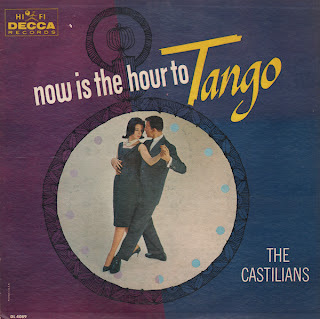 It has been their work, as much as anything else, which has helped to popularize the cha-cha in Mexico, and they have attained enormous popularity everywhere, particularly among the younger set.